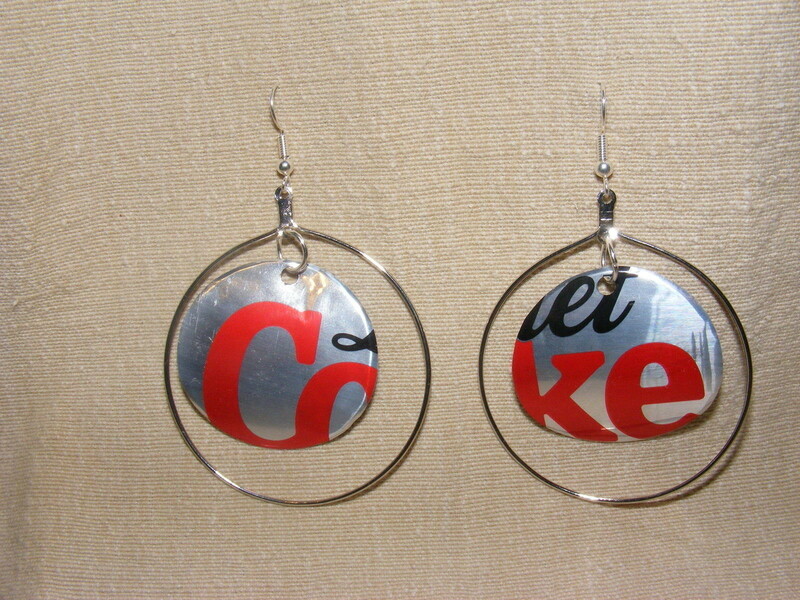 Now's your chance to recycle, create inexpensive fun jewellery AND proudly show your soft drink of choice!! 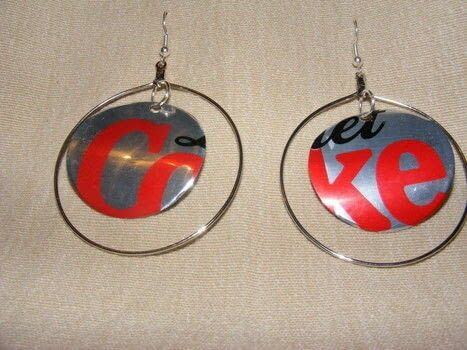 Carefully cut open your coke can then cut 2 circles. Position them so you get an interesting part of the design or logo. 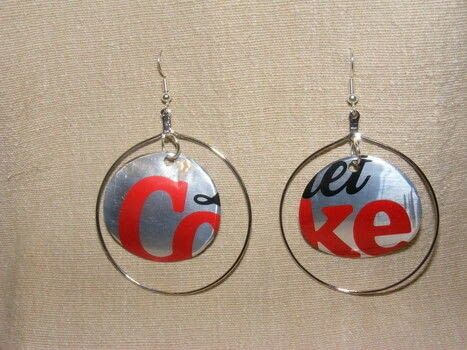 Attach the ear wires to the top of the decorative hoops with jumprings. Punch a hole near the top of the circle and attach to the other tab on the hoop with another jumpring.